Track your boat or fleet from your computer, mobile or tablet. Openichnos is the best tracking solution for all boat and yacht owners, providing a variety of tracking characteristics that fully satisfy your needs. Always know where your boat is with Openichnos satellite tracking. 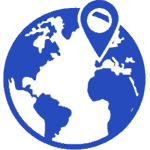 Incorporating the Iridium satellite communications provides you with 100% global coverage so you can track your boat in every place on the planet, without any dependency from the mobile operators limited coverage! 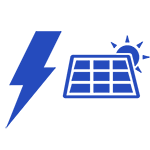 Moreover, Openichnos is introducing the use of hybrid communication. By combining Satellite and GSM networks that switch seamlessly and automatically between them, ensures 100% coverage with cost efficiency. 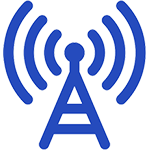 If there is solid mobile coverage in your usual sailing areas then the GSM network is a viable option for you. Our pre-installed global roaming Sim card uses the signal from all the available telephone providers, ensuring that you are covered everywhere that a mobile phone works! If your boat is in an area with no mobile coverage, the Openichnos device saves the route so you don’t miss anything until signal comes handy again! Track everything on a click! 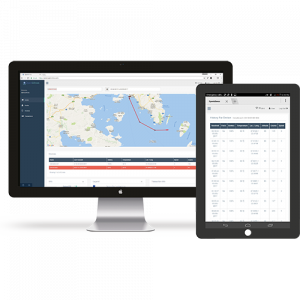 Wherever you are, track your boat or entire fleet on your laptop, tablet or mobile via our web app! Now, finally, you are free from the pains of inserting SIM cards, sending SMS & get finished credits alerts when you most need to track your assets. All the past journey logs are automatically stored forever and you can view each boat’s history whenever you like! You can review all the routes' tracking logs such as latitude/longitude coordinates, course and speed of your asset. Moreover, you can find historical information about the battery, temperature and humidity of your installed Openichnos device is kept. 1. With solar panel that provides you with full energy autonomy as long as the device is in contact with direct sunlight. You just strap it on the roll bar or the mast and it works. Also, you can easily take it off and use it in another boat of your fleet. 2. Connected to the batteries so it can remain out of sight and for your eyes only. Set a virtual perimeter for any area you wish to receive an alert notification when your boat gets in or out of. 1.	moves from its position, eg. due to a loose anchor. 2.	gets in shallow waters or in an area with reefs and blind rocks that you have indicated the people on board to avoid going to. In such instances you will receive a notification so you can take action. In the case the power is cut off, Openichnos sends you a notification and also has an internal battery that allows you to track your boat for a few days. Send a SOS message when you are in danger and notify the people you want to know about your location. Keep yourself safe by adding an extra way of danger prevention during your sailing. For charter managers is a safe way to get notified from their clients without involving the coast guard. Find out about shallow water cruising by inspecting the routes on a nautical chart. Embedding nautical charts, powered by Navionics, gives you the access to the most accurate and thorough set of information created for marine and lakes. 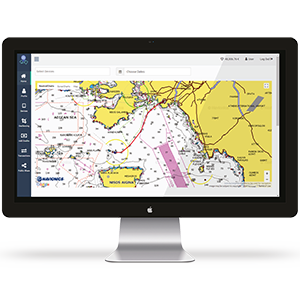 All essential cartographic reference detail for cruising, sailing and fishing like safety depth contours are now available through Openichnos.